Chief Clarke Osborn Welcomes You to the Village of Suffern, NY Police Department. Welcome to the Suffern Police Department homepage. For the past 100 plus years our department has been providing exemplary service to our community. The Suffern Police Department, formed in 1896, presently serves approximately 14,000 residents who reside in a 2.5 square mile village. 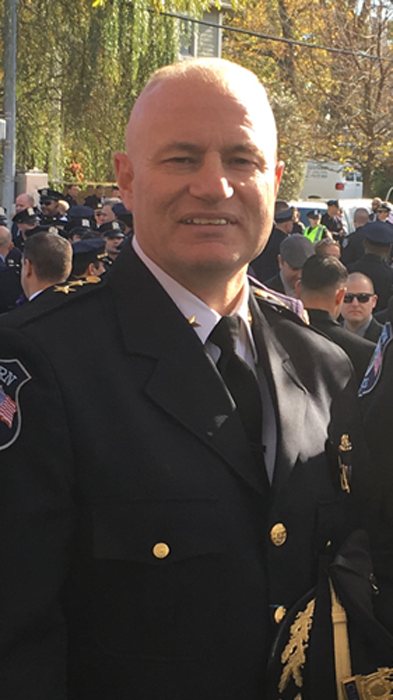 For more information about Chief Osborn, click here. Copyright © 2018. pd.SuffernNY.gov. All Rights Reserved.